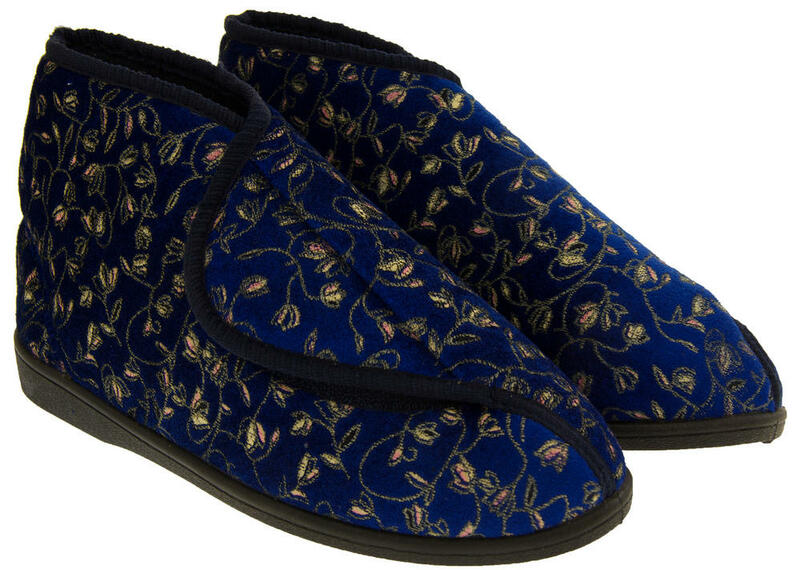 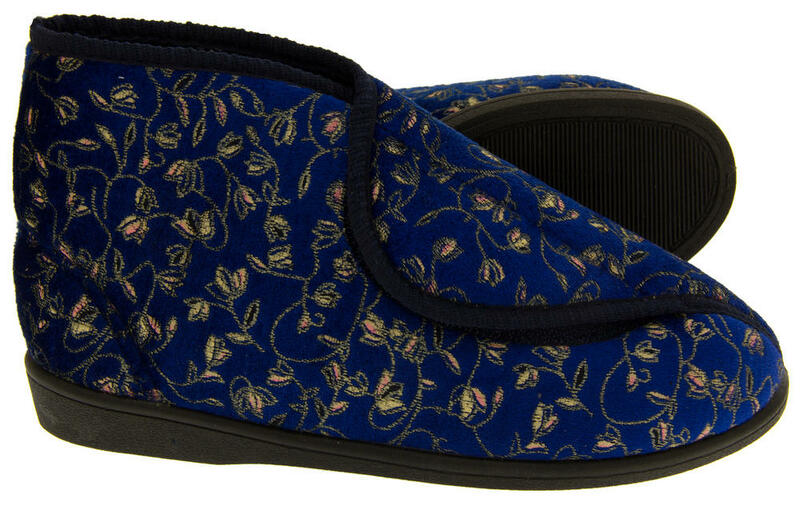 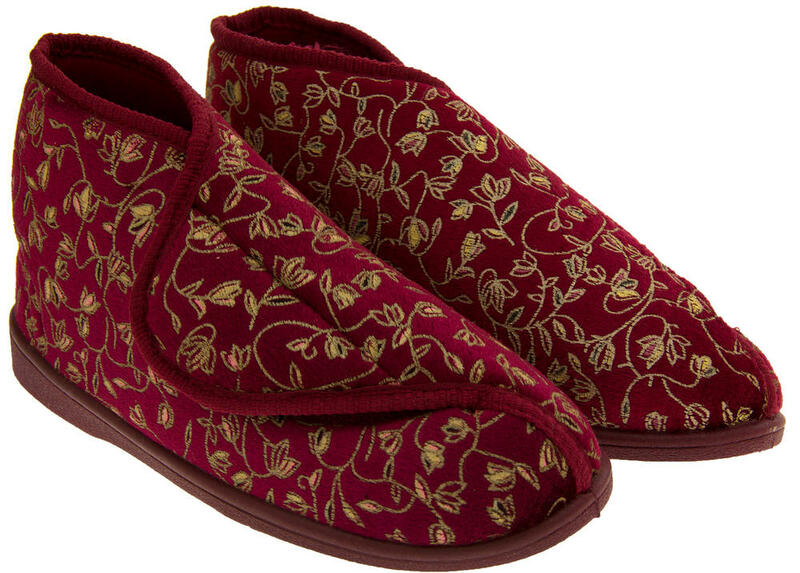 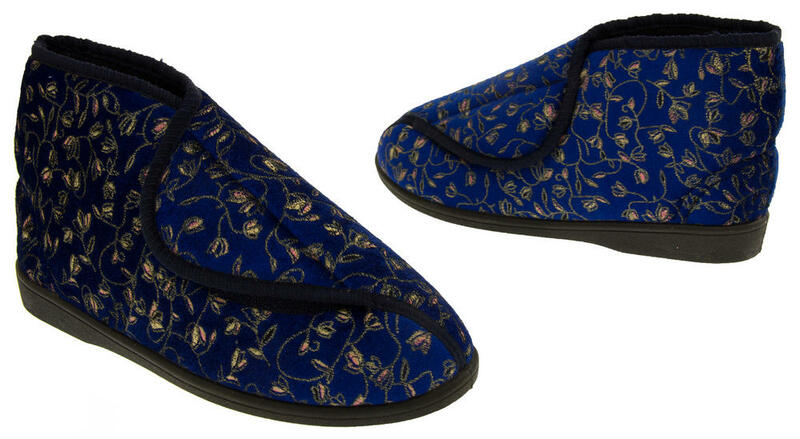 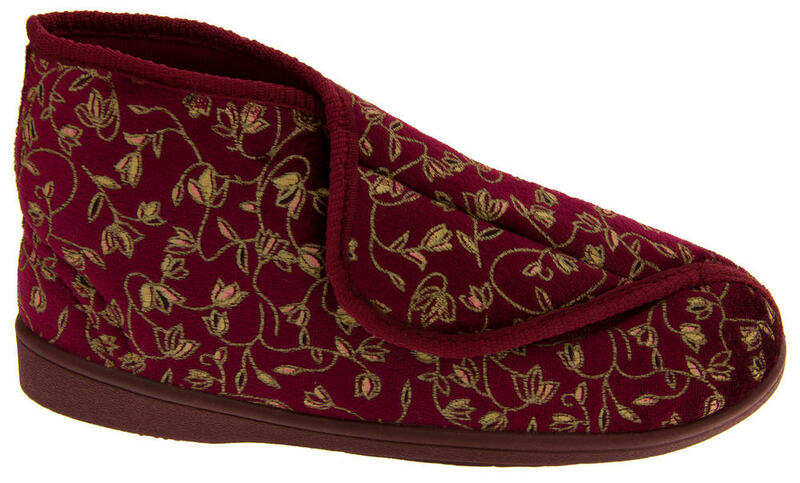 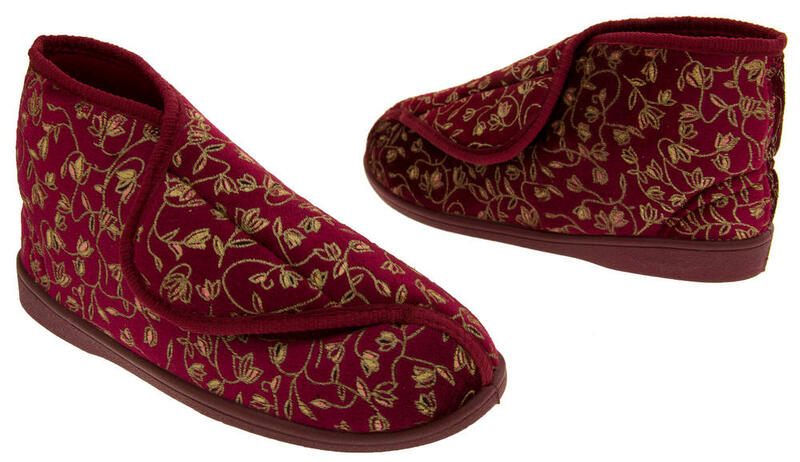 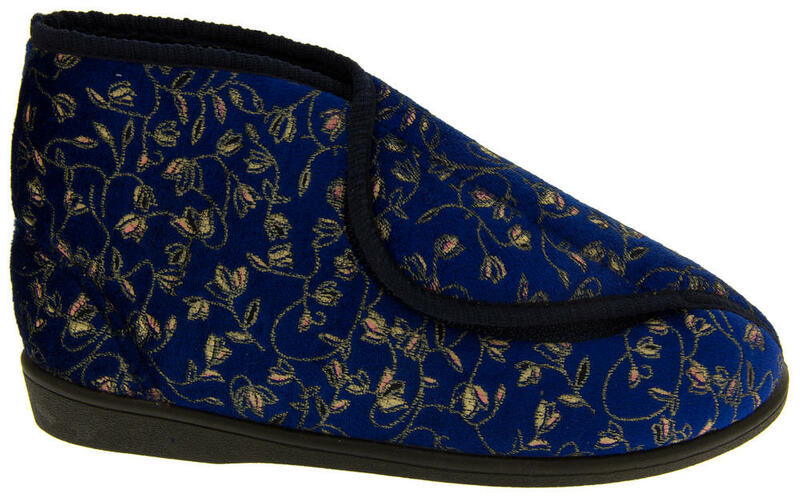 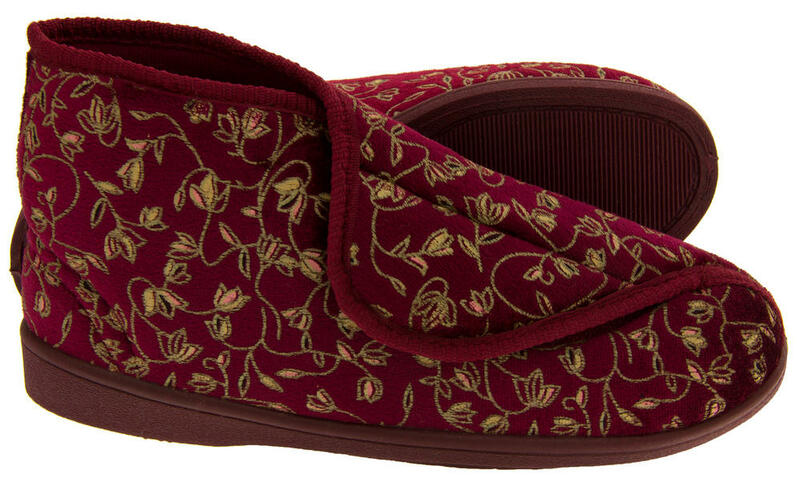 These lovely comfy orthopaedic slippers are great for around the house. 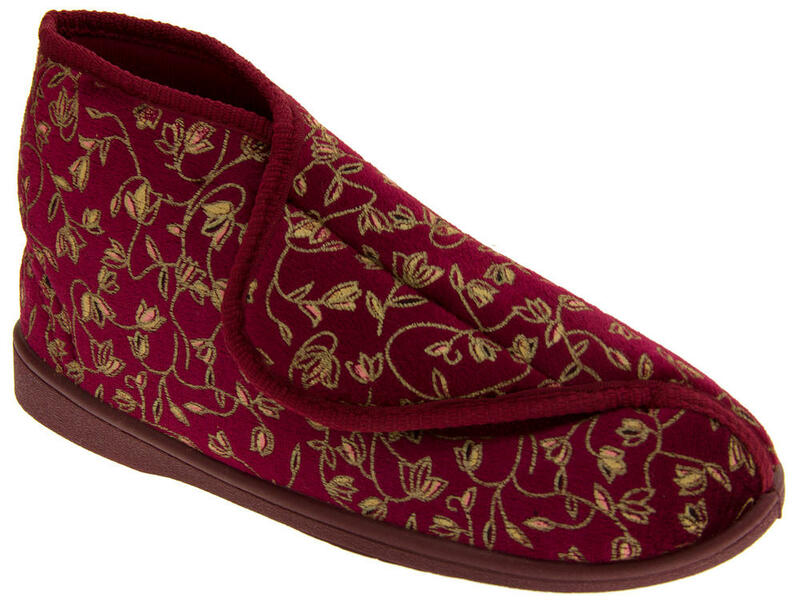 Available in either burgundy red or navy blue. The top has an adjustable Touch Fastening fastening for easy access, helpful for those that struggle to get their slippers on or have swollen feet or ankles. 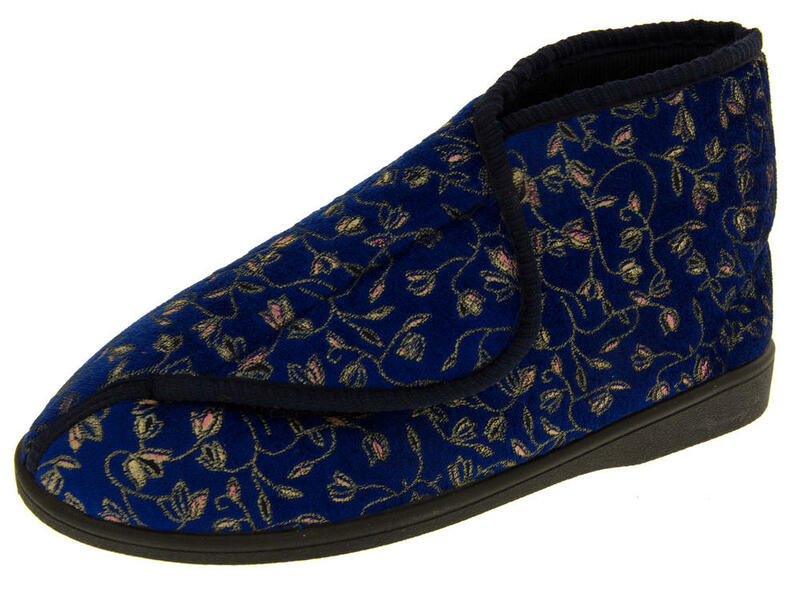 They have a flexible non-slip sole, and are suitable for occasional outdoor use. 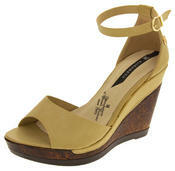 Great for nipping to the bins but not suitable for use in wet weather as the upper is not waterproof. 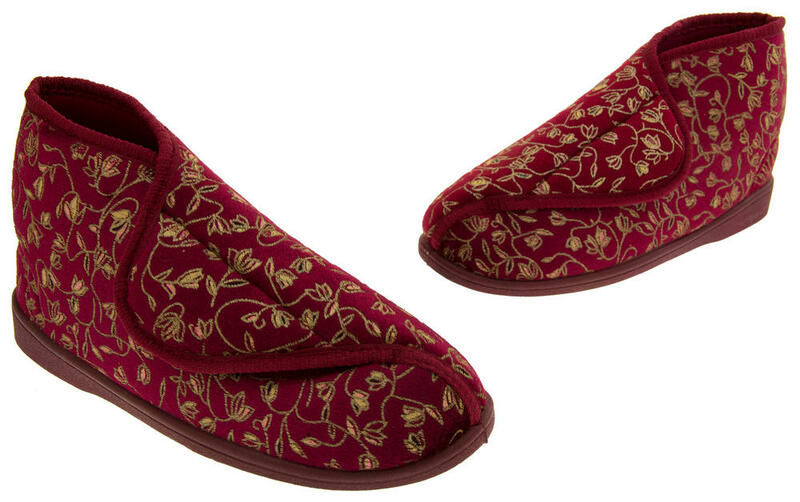 The slippers are washable.